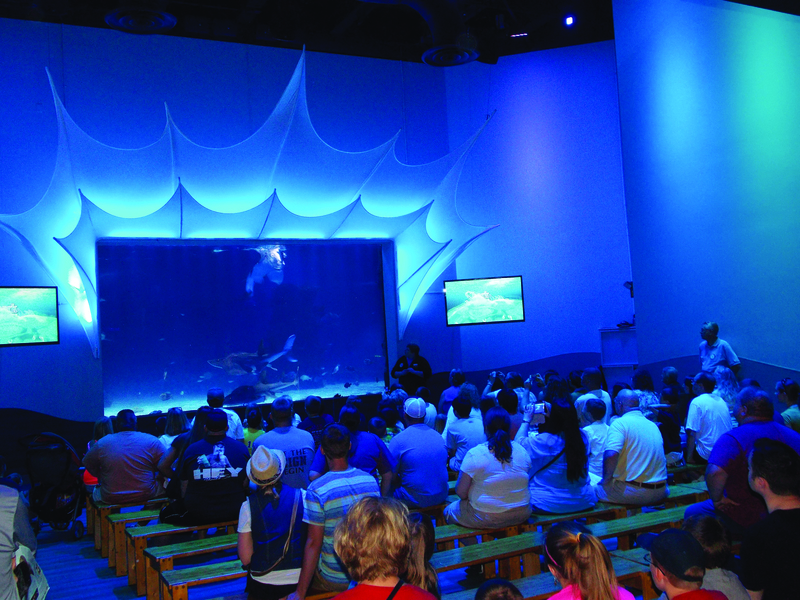 Millions of gallons of water hold thousands of animals from around the world at the Newport Aquarium and now they have the largest collection of Shark Rays on display in the world at the Surrounded by Sharks Exhibit. Some unusual characteristics making this animal so amazing are that the Shark Ray is closely related to the shark having a dorsal fins and a flat, ray-like underside. Its appearance, including dual fins and human-like eyes, make this animal even more special. Shark Rays have a calm, gentle gaze and move gracefully through the water unlike sharks with their steely predatory stare and sharp, quick movements. 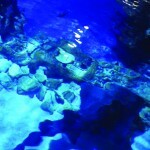 The Breeding Program is important to avoid the extinction of this incredible animal because of the lack of knowledge. 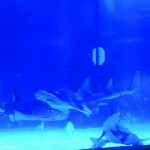 The Shark ray fins are highly desired as food in certain cultures and there is a concern to dwindling numbers in the wild. Both successful breeding and general information on the biology of this species is important. 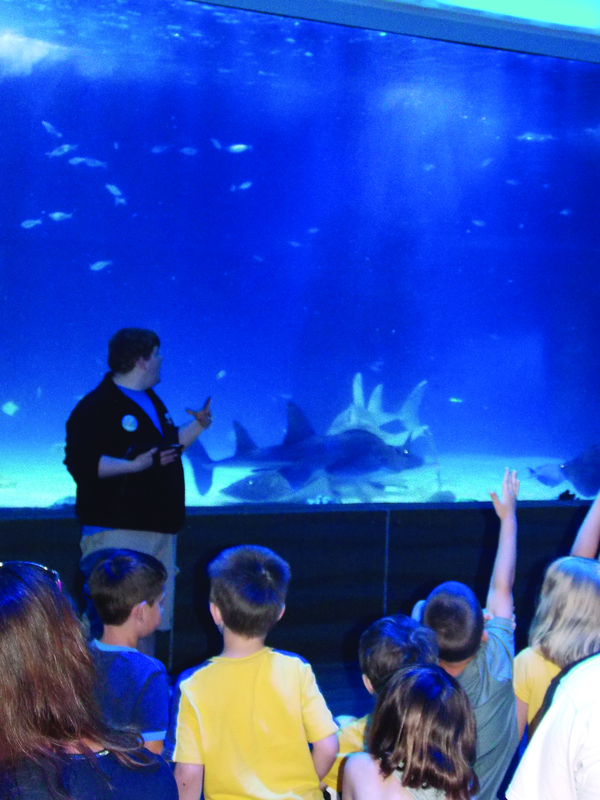 By studying these amazing fish, the Newport Aquarium hope that Shark Rays will be enjoyed by future generations. 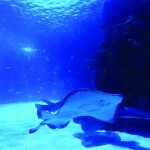 Sweetpea – In 2005, Newport Aquarium made history by becoming the first aquarium in the Western Hemisphere to display their first Shark Ray, Sweetpea. 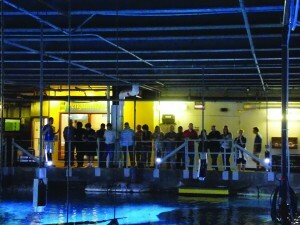 Scooter – Added in 2007, to create the world’s first Shark Ray Breeding Program. 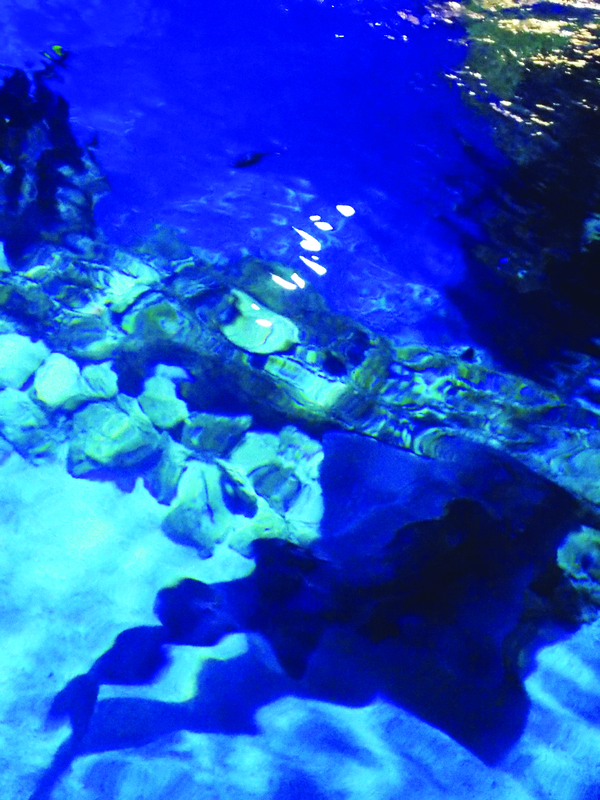 Sunshine – Arrived in 2009 and was on display in the Coral Reef Exhibit before transferring to the Aquarium’s off-site research holding facility. She has now joined the rest of the Shark Ray group. 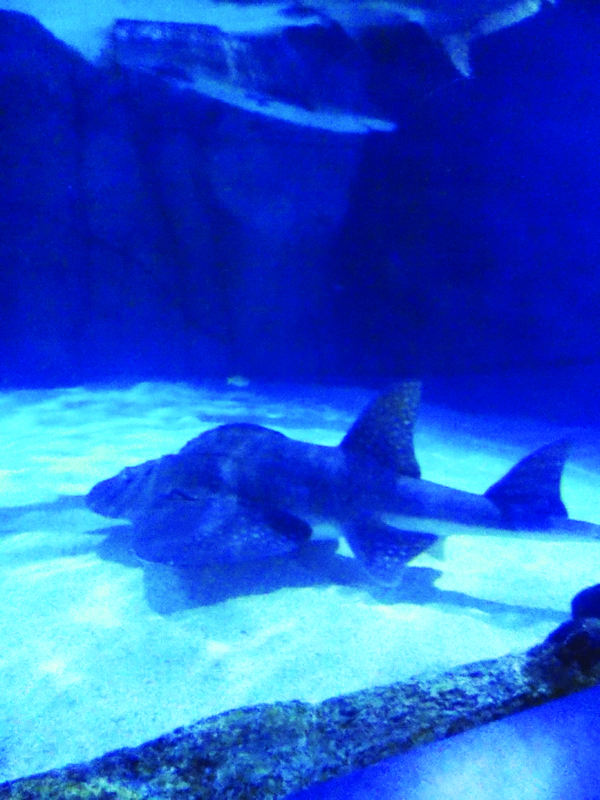 Spike – The newest member of the Shark Ray group. He weighs just over 200 pounds and is the second male added to the group. 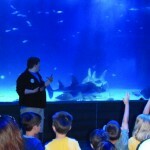 Shark Rays are also called bowmouth guitarfish and mud skate. 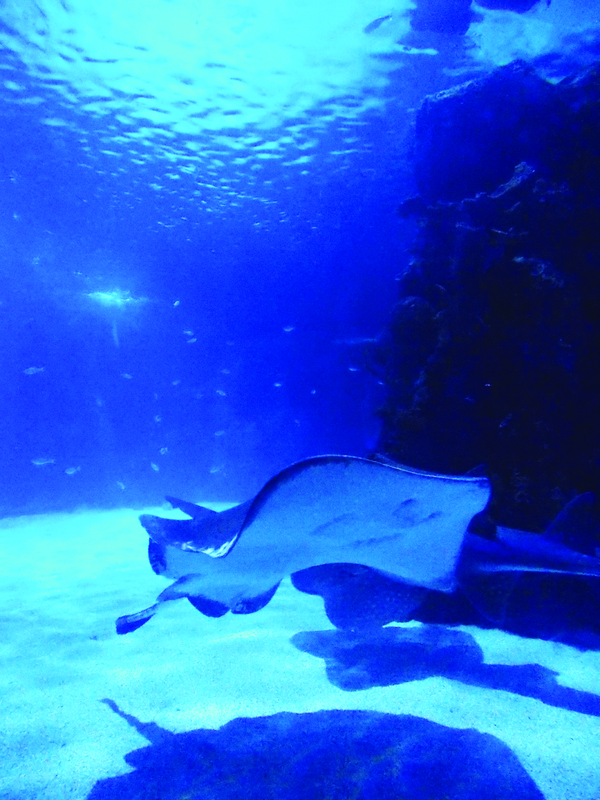 Shark Rays are the sole member of the Rhinidae family. Shark Rays have small round teeth and powerful jaws to crush hard shells of crabs and lobsters. 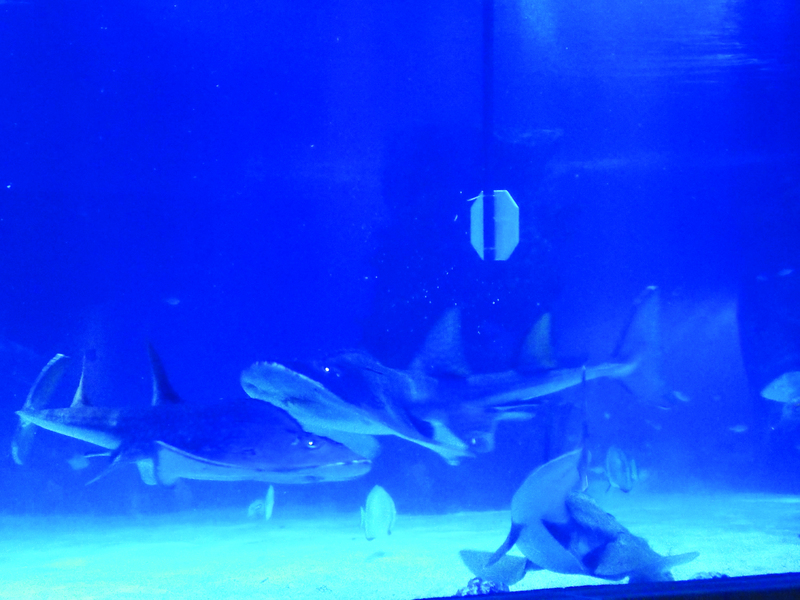 Shark Rays have spiky horns on their head making them look like prehistoric creatures. 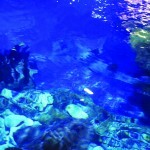 Shark Rays have a dorsal color pattern of many white spots over bluish gray or brown background with a pair of black markings over the pectoral fins. 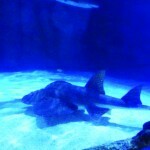 Large Shark Rays can reach a length of 8.9 feet and a weight of 300 pounds. Shark Rays give live birth to two to eleven pups. 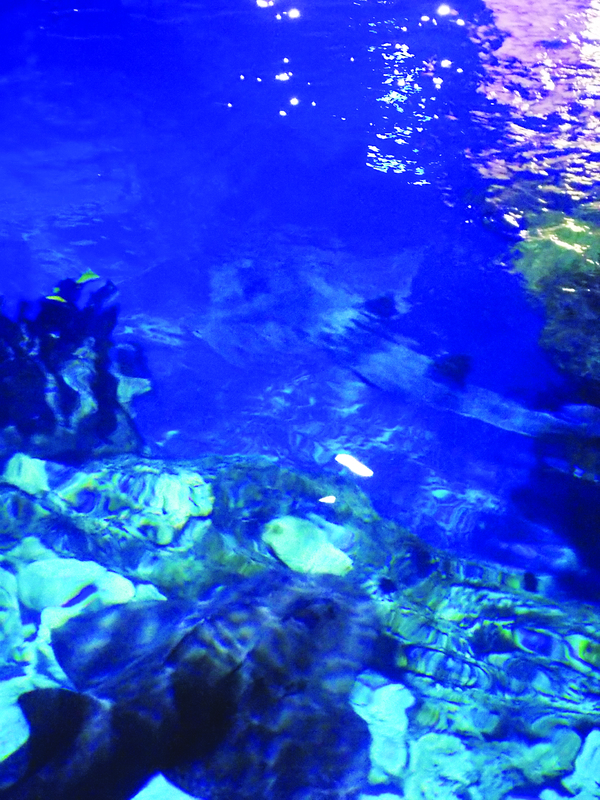 Shark Rays are found near the sea floors and prefer sandy or muddy areas in the Indo-Pacific. Diet: Feeds on bottom dwelling crustaceans, mollusks and fish. 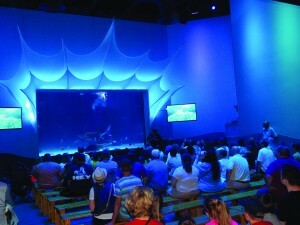 Monday – Friday at 1:00 p.m.
All days and times are subjected to change to accommodate animal behavior and care needs. 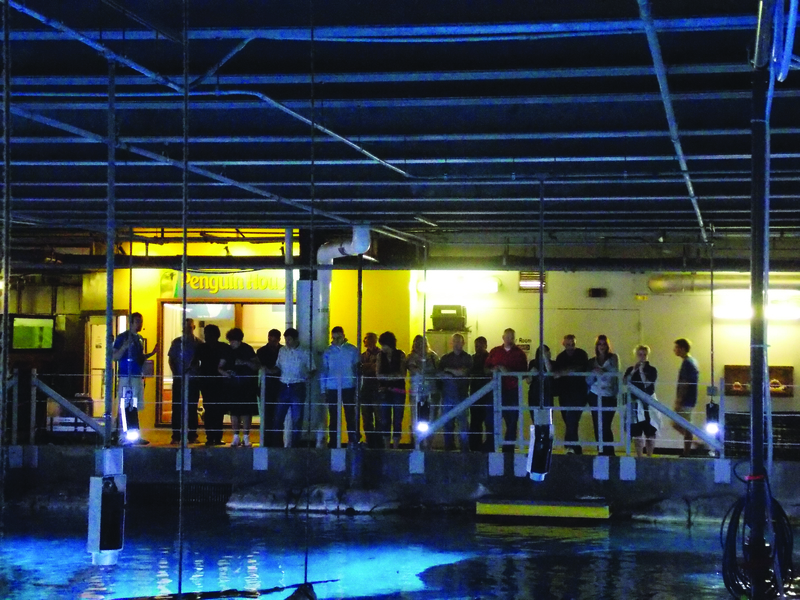 Newport Aquarium is an accredited member of the Association of Zoos and Aquariums which sets the rigorous professional standards for animal welfare, veterinary care, wildlife conservation, research, education, staffing and safety.